There is a lot gossip and speculation around what U.S. president-elect Donald Trump will do to the world economy, but could he actually drive up the cost of mortgages in the UK? 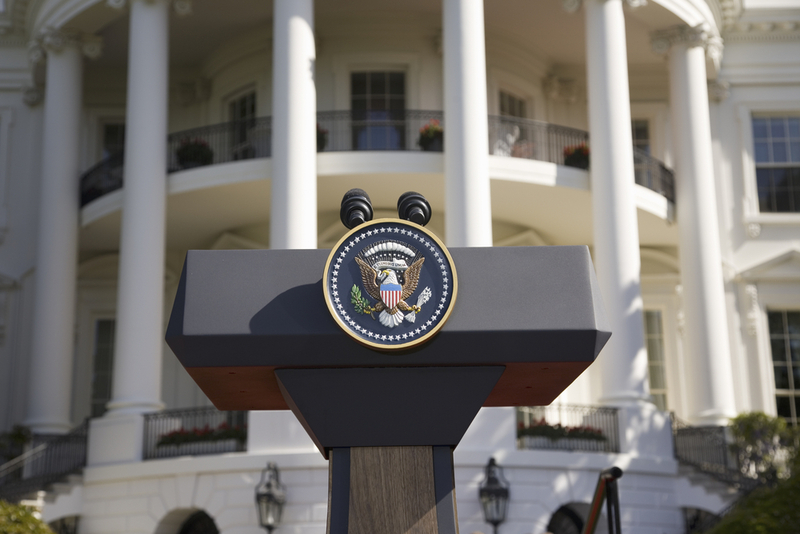 After Donald Trump won the presidential election in United States, there has been a lot of media speculation around what his policies may be and what they spell for the world. It’s unlikely many of his policies will have any immediate direct affect on consumer finances in the UK, but there may be some knock on effects for the world economy that could reach your pocket. Could it be time to fix your mortgage rate? A portmanteau of ‘inflation’ and ‘Trump’ created by the media,”Trumpflation” describes prices rising across the US (and as a consequence, world) economy after the election of Donald Tump. The ‘swap rate’ is essentially the price banks and other lenders will buy and sell money and credit at. Swap rates shot up the day after Trump won the election (and have stayed up), meaning the price of money has increased for banks. Will Trumpflation put up your mortgage costs? Generally speaking when swap rates rise, so do mortgage and other interest rates available to the public. However, there are many other factors influencing interest rates, to name a few: market competition, foreclosure rates and most importantly the base rate of interest set by central banks such as the Bank of England (BoE). With so many other variables in the mix, it’s unlikely Trumpflation will be the source of noticeable mortgage rate rises. 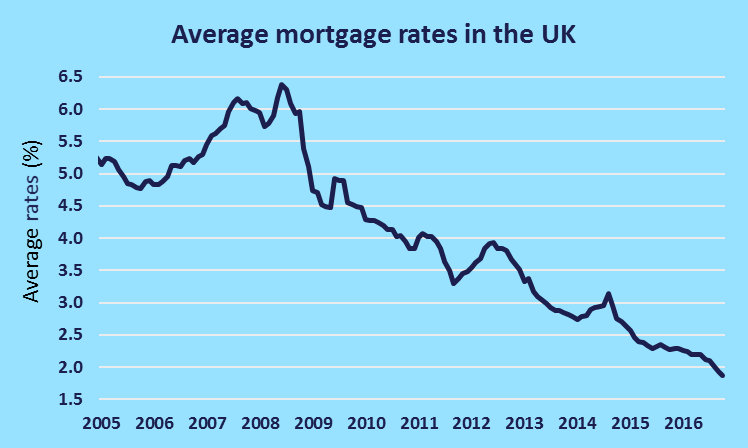 It’s also worth noting that mortgage rates have fallen to all time lows, so there’s more room for them to rise than to fall much further, regardless of what happens. Inflation is widely anticipated in the UK after the sterling significantly fell against the dollar and euro following the Brexit vote and is yet to fully recover. A consequence of the low pound should mean imports to the UK will become more expensive and drive up average consumer costs, measured by the Office of National Statistics’ (ONS) “shopping basket”. However, despite these concerns, the ONS reported UK inflation as 0.9%, lower than the forecast 1.2% this month. But, the latest inflation report by the Bank of England does forecast inflation above targets over the next few years. Britain’s base rate – neutral for now? Traditional economic logic would see a rise in the base rate of interest set by the BoE if inflation does occur. However, back in August the BoE cut the already historic low base rate of 0.5% to 0.25%, a post Brexit calming and stimulus measure. 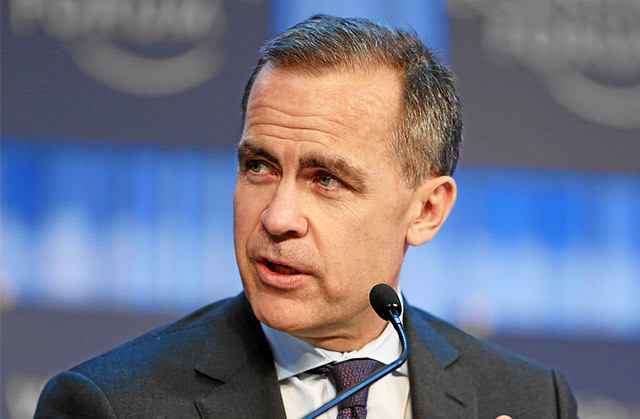 Governor of the BoE, Mark Carney, said that the Bank’s stance towards rates is currently “neutral” at last week’s Inflation Report meeting, meaning the next move may be up or down. It could be worth keeping a close eye across the Atlantic, as the BoE has closely followed the US Federal Reserve’s policies in the past. But, with the way the political landscape has been moving recently, the past is not a reliable indicator of what will happen. In uncertain times it could be worth fixing your mortgage rate, just to give you peace of mind that one of your biggest costs will be fixed whatever happens. It’s worth noting that the cheapest fixed rate mortgage deals have become as cheap as the market-leading variable rate mortgages, but make sure to look at the full costs, not just the headline rate offer. However, as and when rates do eventually rise it may be painful when your fixed rate deal expires, so make sure to plan for this. Thinking of fixing your mortgage rate? News of inflation could be good news for savers if interest rates do finally rise. However, savers will need to be wary, if inflation occurs and rates don’t rise then cash savings will relatively depreciate in value. Until rates go up, there are several high interest current accounts advertising rates as high as 5% AER. But, read the small print as they do tend to have a few terms and conditions you’ll need to fulfill in order to enjoy the high interest rates. Also remember you can switch to a new bank within seven working days with the current account switch guarantee. Could your current account pay you more?